I can’t remember the last time I bought a cookbook. 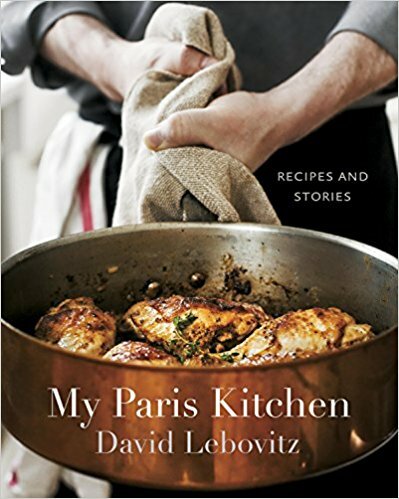 Until My Paris Kitchen, by David Lebovitz. The ones I have, I hardly ever consult anymore, since I have my own collection of recipes all organized in my iPad recipe app. But for me, if you throw in certain magic words, then I could be tempted to shell out a few dollars—I splurged on a print copy—initially meant for two weeks worth of baguettes. Or a dozen macarons. One such magic word is Paris. I envy Monsieur Lebovitz because he’s doing something I wish I could have done. He now lives, cooks, and writes cookbooks in Paris. Across several years, I have “lived” in Paris but only stay for two to six months at a time. Still, that’s enough for me to learn that you’ll find an endless source of delights for the adventurous foodie in any Parisian neighborhood or arrondissement. Each arrondissement boasts several fromageries, patisseries, boulangeries, charcuteries, vergers, etc., etc. They exist for the use of locals with apartment size refrigerators and foodie-tourists curious to sample stinky cheeses, jambon cru, and, of course, wines, all with their AOC (appellation d’origine controllée) labels. But everyone nostalgic for Paris-as-it-was would tell you that sadly, it’s not like it used to be. Supermarches have now replaced many of the individual merchants. One doesn’t really read cookbooks the way you read fiction or other types of nonfiction. You’d probably read the introduction as I did with this book. In it, the author talks about living and setting up a well-equipped but un-fancy kitchen in the relatively cramped space of Paris apartments for typical folks. For me, who’s had to deal with tinier Parisian spaces than Monsieur Lebovitz’s digs, it’s a charming, amusing read. From there, you can jump anywhere, depending on your fancy. With this book, dessert was my next stop after skimming through the chapter on ingredients. Why? Because Monsieur Lebovitz used to be a pastry chef at Chez Panisse in the San Francisco Bay Area. If you’re old enough, or read a lot about food, restaurants and cooking, you’d remember that Chez Panisse is where Alice Waters spawned a revolution in American cooking when she first opened her restaurant. Fresh, in season, locally sourced, and prepared to make its main ingredients shine ( rather than being doused in sauces)—those were like a mantra for Alice Waters. Now, many restaurants take these principles for granted. This “California sensibility” is obvious in this easy, mouth-watering read. Monsieur Lebovitz keeps you glued to his book by making it personal, even funny and touching (for instance, My Leek Lesson), with his anecdotes of cooking in Paris. I’ve tried—loosely—a few of the recipes in the book. 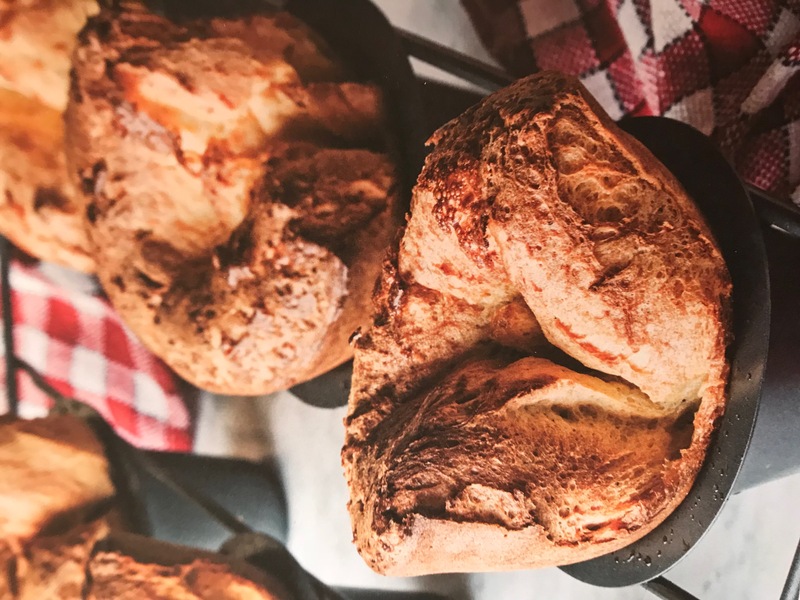 But the one I’ve done quite a few times is Panisse Puffs, a type of popover made with chickpea flour (2/3 chickpea to 1/3 flour). It’s quick to make and delicious and I do follow his recipe quite faithfully. If you want to try some of Monsieur Lebovitz recipes, hop over to his site: http://www.davidlebovitz.com/ Since his specialty is pastry, his best recipes are probably for cakes and cookies. Of course, you may wonder why anyone would bother baking, if you lived in Paris where you can get the best pastries. Well, he lives in Paris, but most of us don’t so there’s a lot he can tell us.